60 days til May 1...but who's counting?! You and all your guests, that's who! Spring breaks are rolling through, and your campus is most likely in the throes of hosting a slew of accepted students and their parents, visiting prior to making their choice. While planning strategies and tactics for yield should be a year-long activity, what can you do starting tomorrow to make accepted student visits better toward yielding those students? 1. Celebrate admitted students (and their co-purchasing parents): It may sound simple, but be sure to say "Congratulations on being accepted!" But how can you easily identify accepted students from the sea of high school juniors on tour? Provide color-coded name tags, stickers, and/or lanyards that designate them as accepted students. Ready to kick it up a level? Consider sending out a daily email or posting to a common network message board the names of accepted students visiting each day and reminding your community to congratulate the families and welcome them to your community. 2. Be intentional about their visit content: If I'm an accepted student, do you really think I want to listen to an info session that includes the application process? Boring! It's time to break accepted students away from the typical visit offering! Ask them what they want to see or do and give them the tools (maps, a personal tour guide or a custom-built visit) to get them what they need to make their decision. What's the one piece most of our clients miss? Connecting accepted students to each other! Juniors in high school on tour may not be ready to make friends with each other, but accepted students are. How can you help forge those relationships? Kicking it up a level? Educate and challenge your staff, faculty and student guides to change their pronouns from "I" and "We" to "You" and "You'll" (as in "This is where you'll live during your freshmen year!"). It's inclusive and helps guests visualize themselves as part of your community. 3. Get low on Maslow's Hierarchy: If a student is accepted, they're ready for a deeper dive. From our experience and perspective, students (and their families) are ready to see where students will live, park, eat, hang out and study. Once students and their parents vet your facilities and trust that you'll have their basic (but important) needs met, they'll listen to you about how great the transformative experience you provide will be. Remember, all purchasing is emotional! Schools that forge and faciltate more emotionally engaging connections between admitted students to the location/city/town, campus, faculty/staff, current students and, most importantly, with each other (other admitted students) are the colleges and universities that will have a happier May 1, 2017. What are you doing to help accepted students have a more emotionally engaging visit? 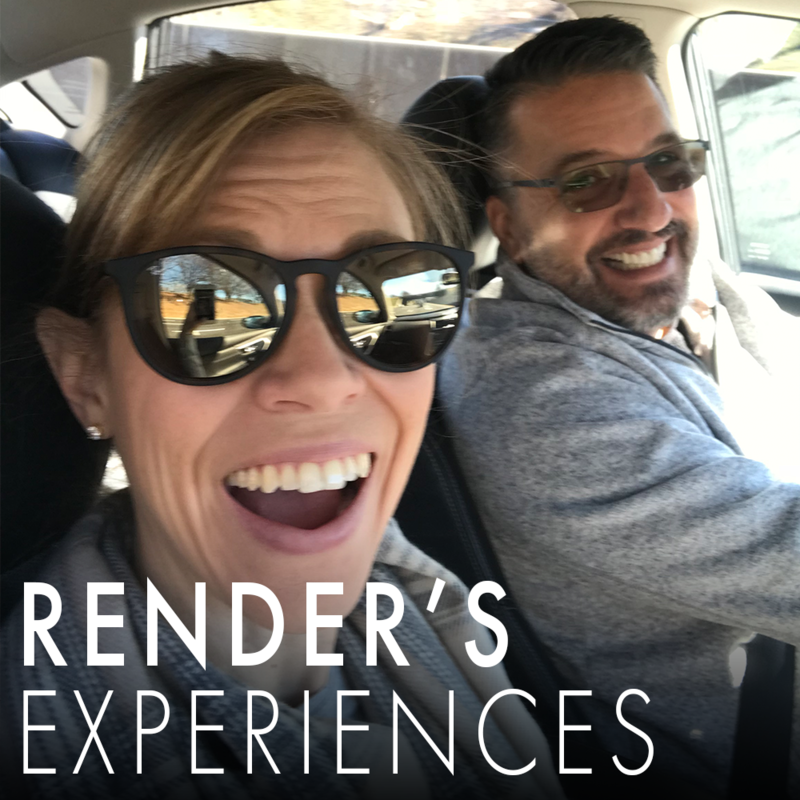 Share with us on Facebook, Twitter and Instagram using #renderthevisit! Render Experiences had a banner 2016 thanks to our ten new and ten renewal clients. Dani Napier joined our team as Associate, and we launched our new website and this blog. Along the way this year, our team has taken an estimated 200 campus tours, spent 300+ nights in hotels, presented at six conferences and flown 302 segments. Prospective families are obessed about the basics. You can't movitate student tour guides and ambassadors in a vacuum. Prospective families are bored quickly and the information session and tour have to be deconstructed into digestible nuggets. Watch and ponder! We hope to see you in 2017 at one of the many conferences we'll be attending to discuss in person. Until then, be merry and enjoy your holiday break!